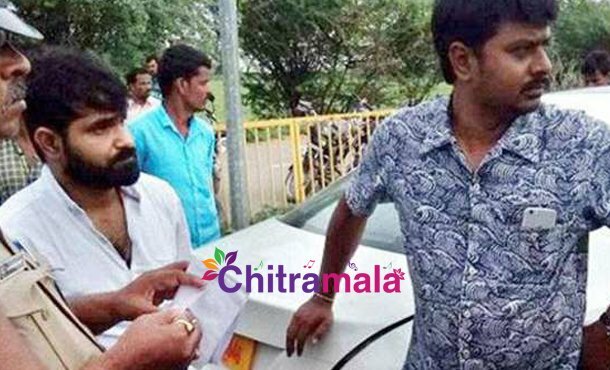 Jabardasth Comedian Chalaki Chanti, who rose to fame with ETV’s comedy show Jabardasth, escapes a road accident on Tuesday. While he was traveling on Mahabubnagar district, Balanagar Mandal NH44 in his car, suddenly another car hits from the back, and both of the cars crashed. As per the updates, nothing has happened to Chanti, and he was moved to a nearby hospital for primary treatment. The police entered the scene and registered the case and already started investigating. The details regarding the comedian’s health are yet to be known. On the work front, Chanti is busy with a handful of projects, and it is heard that he was on his way to shooting. However, an official statement is yet to be released regarding the same. The photographs from the accident area went viral on social media.